In terms of the popularity, performance and software availability, the Commodore 64 (C64) was the king of the 8-bit home computers during the 1980s, dominating the home computer market for a good part of the decade. It was particularly dominant between 1983 and 1986, outselling it's rivals the Apple II, Atari 400, 800 and 800XL, and the IBM PC. In the UK, the C64 faced stiff competition from British built computers such as the ZX Spectrum, BBC Micro and Amstrad CPC400. Indeed, the Spectrum was the market leader for several years, although the C64 eventually caught up later in the decade. For many millions of people, including programmers (now known as coders) and game designers, this was the first computer they ever used. First released in August 1982 and discontinued in April 1994, the C64 sold an estimated 12-17 million units, making it the biggest selling single brand home computer of all time. Along with the ZX Spectrum, the machine was responsible for creating a home computer revolution, bringing previously unaffordable technology into the homes of millions of families. The Commodore became part of a new era in home computing and what many gamers describe as "the golden age of gaming". Gone were the mono graphics, poor sound and insufficient memory. 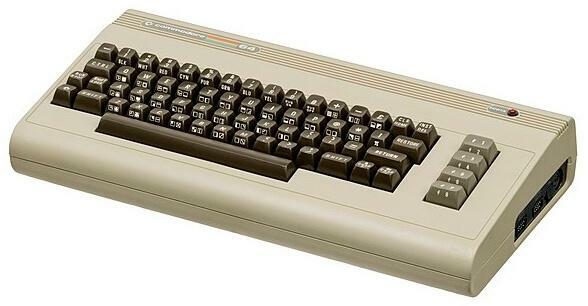 The C64 had a whopping 64 KB of RAM, colour graphics and synthesiser sound, although half of its memory is used for internal functions including Commodore Basic 2.0. 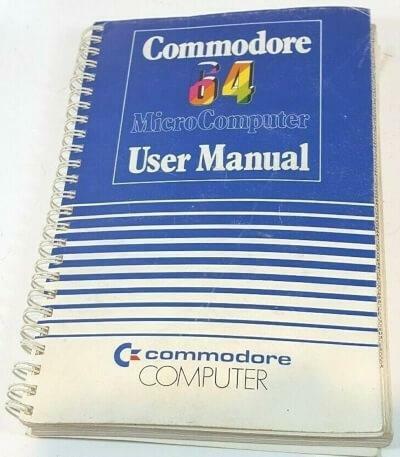 The Commodore's low pricing, flexible hardware, and widespread availability enabled it to outsell its rivals. Another factor for its success was the built-in RF modulator, which allowed the unit to plug the machine into their existing TV set, banishing the need for an expensive monitor - this gave it the edge over business computers such as the IBM PC. Externally, the C64 looked very much like the Vic-20, and was one of the least visually appealing 8-bit computers. The casing, interfaces and sockets were pretty much the same. However, inside that casing was a more powerful beast. 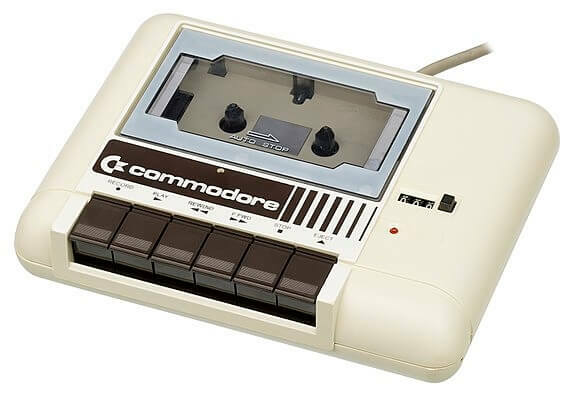 Unlike its competitors, the C64 was made available to buy in high street department stores and toy stores, although other manufacturers in the UK would soon follow suit. However, initial sales were actually very disappointing due to a lack of software titles, reliability issues and difficulty with the supplies of the 1541 disk drive - this became notorious for its terrible reliability, and it was insanely slow and noisy! With these teething problems quickly ironed out, during 1983, sales began to soar, more particularly after the price was slashed to just $300 in the U.S. - an absolute bargain at the time! This, inevitably, led to a viscious price war, which saw Timex Corporation and Texas Instruments (T.I.) quit the home computer market altogether. After much refinement in the manufacturing process, Commodore managed to eventually produce each C64 for just $25, which was quite incredible. Indeed, Commodore's President Jack Tramiel held a personal grudge against T.I., after they won the electronic calculator war in the mid 70s, causing Commodore serious financial losses which almost led to their bankruptcy. With the price of the C64 and VIC-20 models continuing to be reduced to ridiculously low prices (the Vic-20 was manufactured until 1985), T.I. was forced to sell it's TI-99/4A model for a loss at just $99. Bear in mind that it went on the market for $525 in 1979, and was now being sold for the same price as the C64's predecessor the VIC-20, despite costing significantly more to manufacture. During 1984, I remember the C64 being sold for £229 here in the UK, which was a tantalisingly low price. The C64 soon caught the attention of games developers, and by the mid-1980s, games accounted for around 65% of all software sales for the machine. The choice of titles was huge, and led to a surge in geeky teenage coders creating games from their bedrooms, which led to some of them becoming pretty wealthy. In general, many games developers chose to release their titles for the C64 first and then port to other systems, as they knew sales would be higher. However, in the UK, the ZX Spectrum often gained priority. Popular software houses included Lucasfilm Games (now LucasArts) - you may remember Rescue on Fractalus and Ballblazer - Epyx Sports, Capcom, Codemasters, Bug Byte, Gremlin, U.S. Gold, Ocean, Imagine and Mastertronic, to name but a few! The C64 came with the BASIC programming language built in to its ROM. To use the machine, you would either need to type in a program, or load software from cassette or disk. The language was based on 6502 Microsoft BASIC and was similar to Applesoft BASIC. It was first used on the Commodore Pet in 1977. 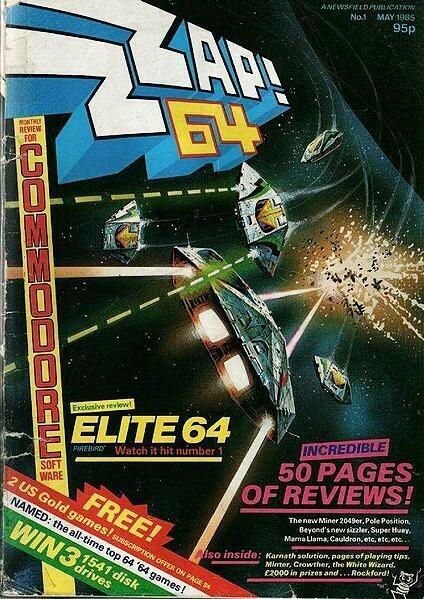 Many users would buy books or computer magazines (such as Zzap 64!) that contained BASIC listings that they could type in. This allowed the user to enjoy an almost endless choice of new programs for their machine, and learn programming (coding) skills in the process. It could take several hours to type in a listing and debug it, and this would be then be saved to cassette for future use. The C64 used the MOS Technology 6510 8-but microprocessor, which was a modified version of the 6502 that was used in the Atari 2600, Atari 8-bit computers, Apple II, NES and BBC Micro. It had a clock speed of 1.023 MHz on the NTSC version and 0.985 MHz on the PAL version. MOS Technologies was bought out by Commodore International, who sold or licensed the chip to other computer manufacturers. The MOS Technology VIC-II featured 320x200 and 160x200 bitmap display modes and also a 40x25 column text mode - this featured PETSCII rather than ASCII character coding. There were 16 colours and 8 hardware sprites per scanline, with the VICII handling the majority of the sprite emulation. Other features were smooth scrolling and raster interrupt - the latter allowed the programmer to to reuse sprites on the screen, mix graphics modes, and selectively scroll screen regions. In effect, this gave the impression that the graphics chip was more powerful than it actually was. Although graphically superior to British built computers such as the ZX Spectrum and Amstrad CPC400 (although it could be argued that the colours looked rather dull/dirty on the C64), it was somewhat less superior to the Atari XL and XE computers which had a much bigger colour palette (up to 256 colours) and could move objects around the screen faster. However, the sprite resolution was higher on the C64 making them less blocky, and each sprite could display 2 colours, whereas only 1 could be displayed on the Atari 8-bits. There's no doubting that the background graphics were more vibrant and colourful on the Atari, though. The SID chip gave the computer the edge over its competitors with it's distinctive and lively sound, with musician Rob Hubbard leading the way in composing music by pushing the chip to its limits by the use of overdriving. He made the C64 sound pretty astounding at the time, which was something many other computer owners could only drool over. The MOS Technology 6581 was used in the original C64's and the 128, and this was replaced by the 8580 in 1987, although many musicians claim the sound was more "crisp" on the original 6581 chip. The SID featured a 3 channel synthesizer with programmable ADSR envelope - Attack, Decay, Sustain and Release - 8 octaves, 4 waveforms per audio channel (triangle, sawtooth, variable pulse and noise), oscillator synchronisation, and ring modulation. It also included an external audio input which allowed the user to mix the sound with external sources. A huge demo scene quickly developed to demonstrate the power of the sound chip, and many sound and graphics demos appeared in shareware and public domain libraries. Programming skills were required by musicians to use the SID chip, and you couldn't simply play a keyboard as on a hardware synth to create music. As programmer's delved deep, by adjusting the volume register they soon discovered a hidden "fourth channel" which allowed 4-bit sound samples to be played, although they sounded pretty crunchy, of course. The C64 had two DE-9 Atari joystick ports (the Vic-20 had one) which allowed the user to insert any Atari compatible joystick or other controller - port 2 was used as the main controller. Paddles could also be inserted, although there was very little software that actually allowed or required the use of them. The cassette-loading Datassette 1530 C2N was the most popular and cheapest option for loading and saving programs, although it transferred data at a painfully slow 300 baud. However, it was no slower than the Atari 1010 program recorder for their rival 8-bit XL range of computers. Software (particularly games) on cassette tape was the most popular choice amongst consumers - in the UK, at least! Games would normally take around 15-20 minutes to load, although I remember some taking up to 30 minutes, and some not loading at all due to a kink in the tape. Now, if you were an 80s gamer, then you don't need me to tell you that most games would normally take around 15-20 minutes to load on cassette, although I remember some taking up to 30 minutes, and some not loading at all due to a fault, such as a kink in the tape! The latest incarnation of the machine is the C64 Mini which is a around half the size and includes 64 games pre-installed. It features a 720p HD display ans 2 USB ports. The package also includes a joystick and HDMI cable.